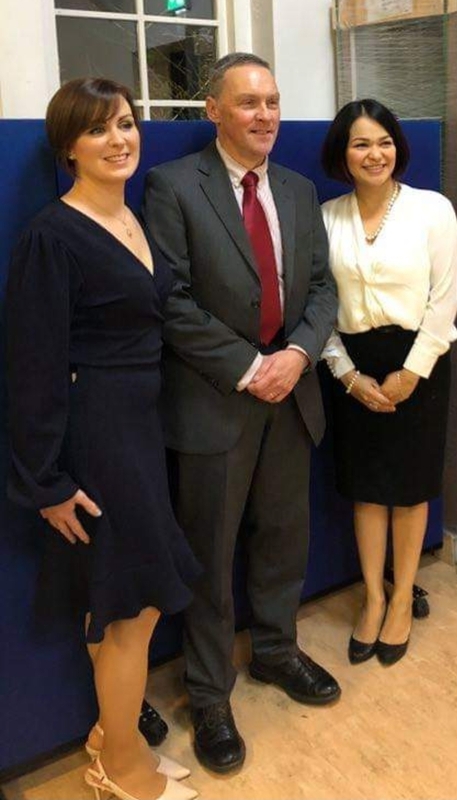 On 17th November Hilda Connolly, Diocesan Youth Officer in the United Dioceses of Cork, Cloyne and Ross, and Viridiana Kingston Castro, a youth worker from Coolkelure in Dunmanway, County Cork graduated at Cliff College, Derbyshire. They were awarded their Aurora Certificates in Youth Work. They stared the course in September 2017. The Aurora Youth Ministry Course is an 8-month ecumenical course designed for those already doing youth work in their local church, and accredited by Cliff College. Steve Grasham, the Youth Ministry Development Officer (Southern Region) of the Church of Ireland, ran the course sessions in Ireland. It was an absolute honour and privilege to be able to be there on the day with Viridiana Kinston Castro, Ruth Matthews and Lucy Bateman to receive our Certs, along with our families and Steve to cheer us on. For anyone considering this course, I would highly recommend it. It certainly is challenging but very do-able and very interesting! I thoroughly enjoyed it and it definitely refreshed plus educated me further for my role. Thank you to all who helped me through it and to the Bishop, Dr Paul Colton and Judy Peters for enabling me and encouraging me to take it on. Hilda Connolly and Viridiano Kingston Castro with Steve Grasham following the award of their Certificates in Youth Work. This entry was posted in Continuing Ministerial Education, Education, Lay Ministry, Youth Work. Bookmark the permalink.